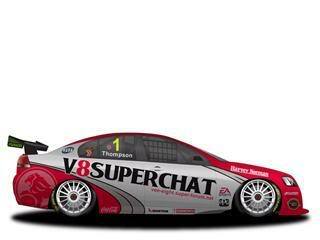 www.v8supercar.com.au wrote: If you have ever really considered beginning a career as a V8 Supercar driver, then this opportunity might just be yours to grab with both hands. With less than 2 weeks until testing begins for the 2008 Fujitsu V8 Supercar Development Series season, an unusual set of circumstances has left a vacant seat in the Partington RacePrep #31 Ford Falcon entry. Having successfully launched the V8 Supercar careers of “rookies” Chris Pither and Damian Assaillit in the past 2 seasons Partington RacePrep was excited to be launching the career of another “young gun” in 2008. Kanga Loaders backed Chris Pither finished 11th in the 2006 Fujitsu series in the Partington RacePrep Ford and last year Damian Assaillit excelled in the Dwyer Quality Homes Falcon to rapidly establish himself as a future V8 Supercar star. This late withdrawal of the driver leaves a great opportunity for someone else with a relatively small budget compared to what is generally required to get into the real world of V8 Supercar racing and potentially kick start their driving career. For further information don’t hesitate to contact Bruce Partington. bruce@raceprep.com.au or phone 0438 626 839. Don’t miss out. Shame the main guys here are too young! Dang! That is for me!! !